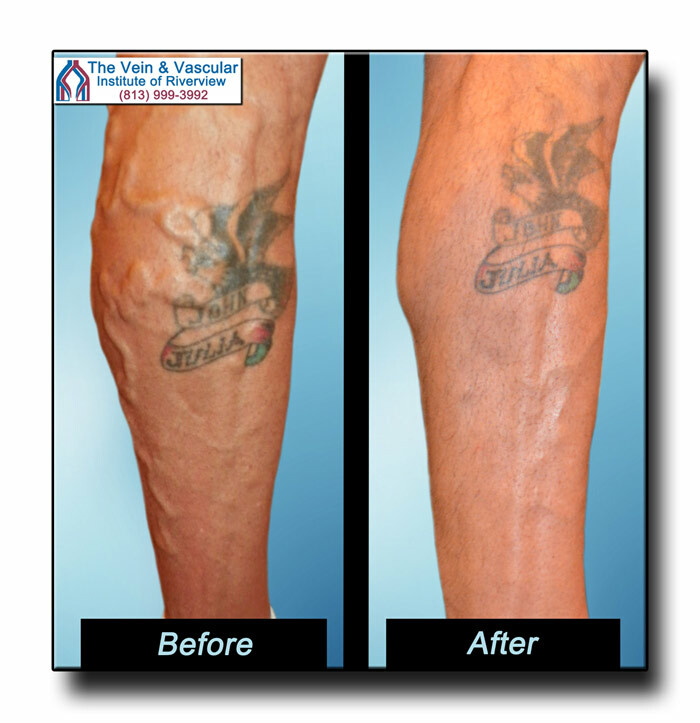 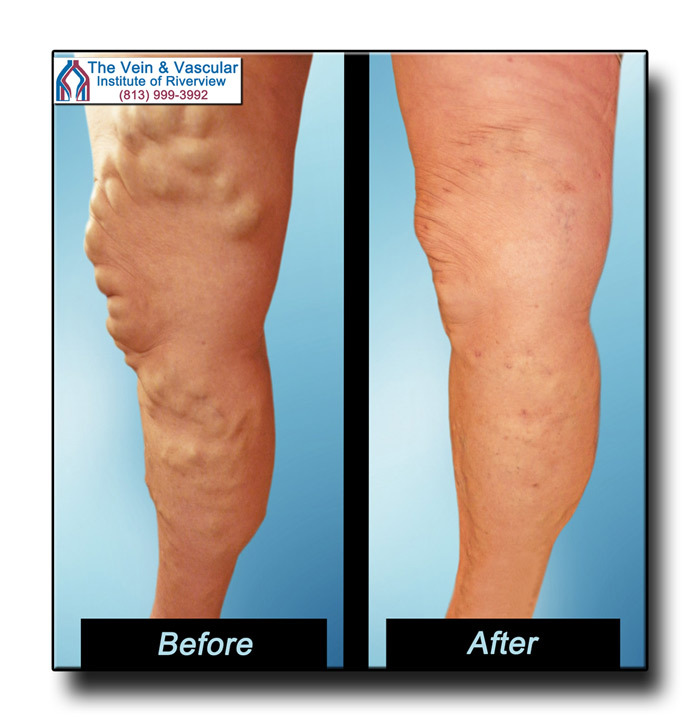 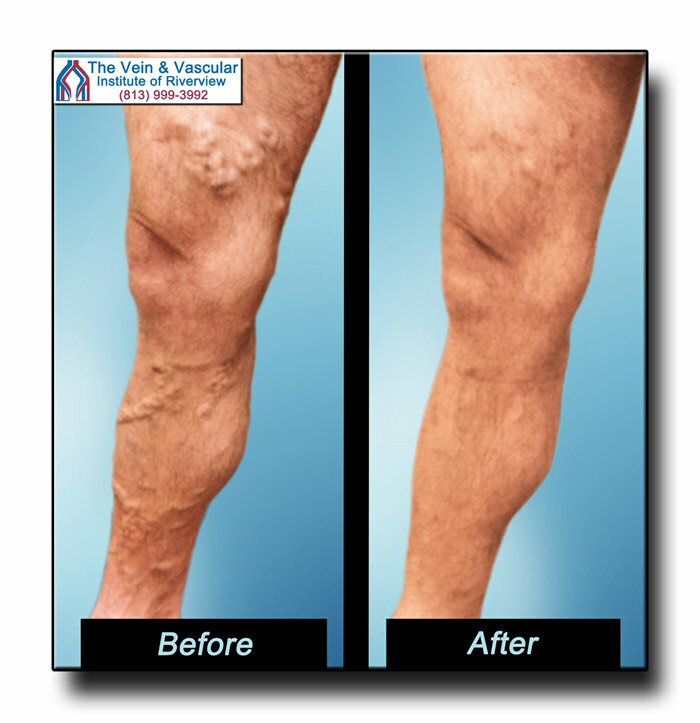 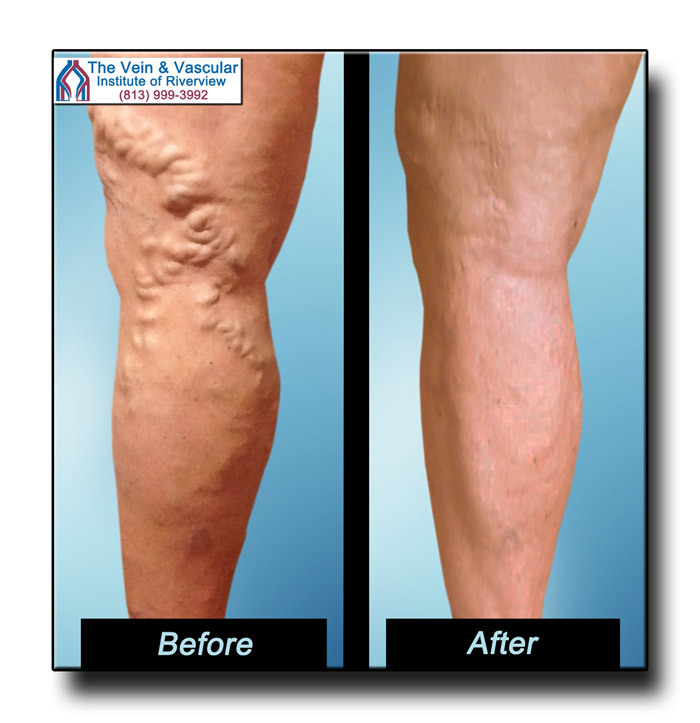 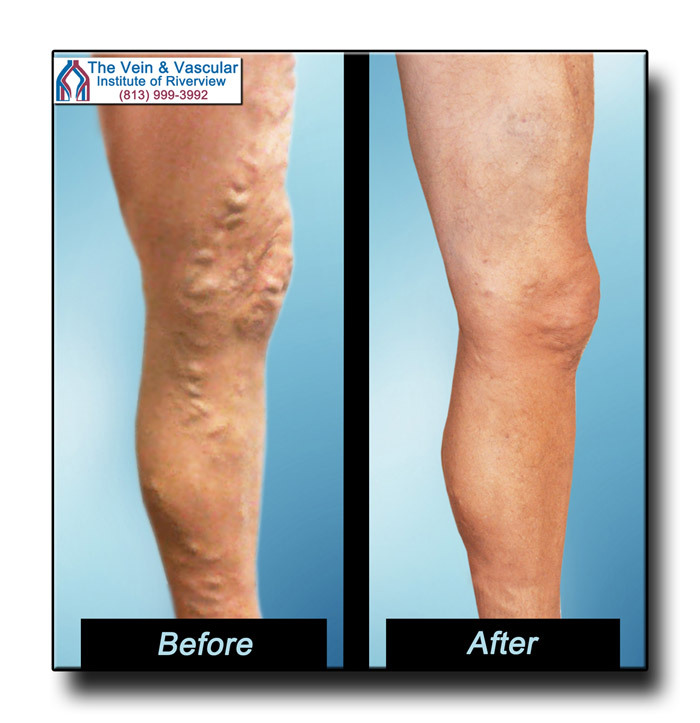 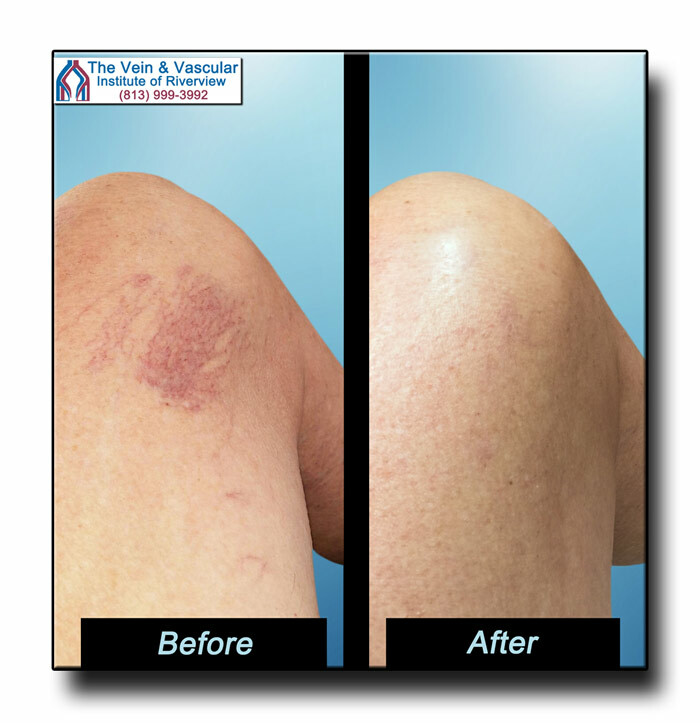 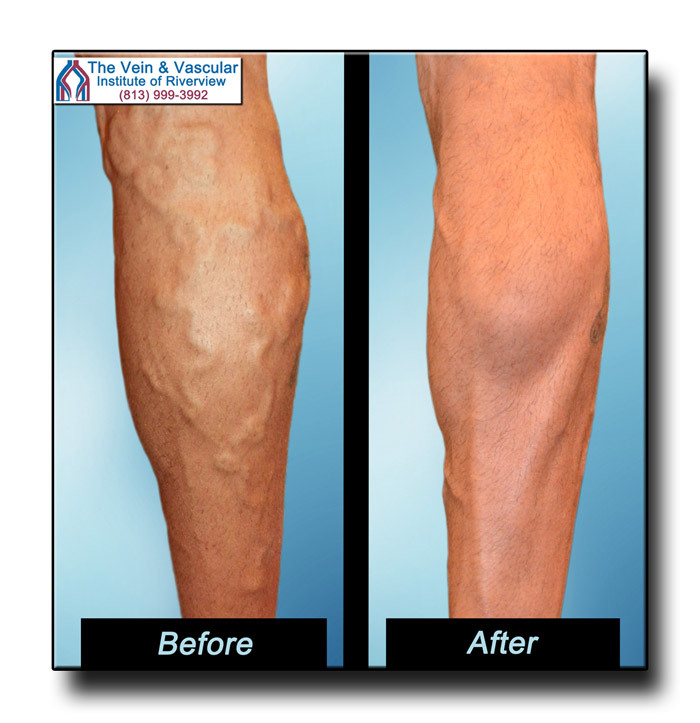 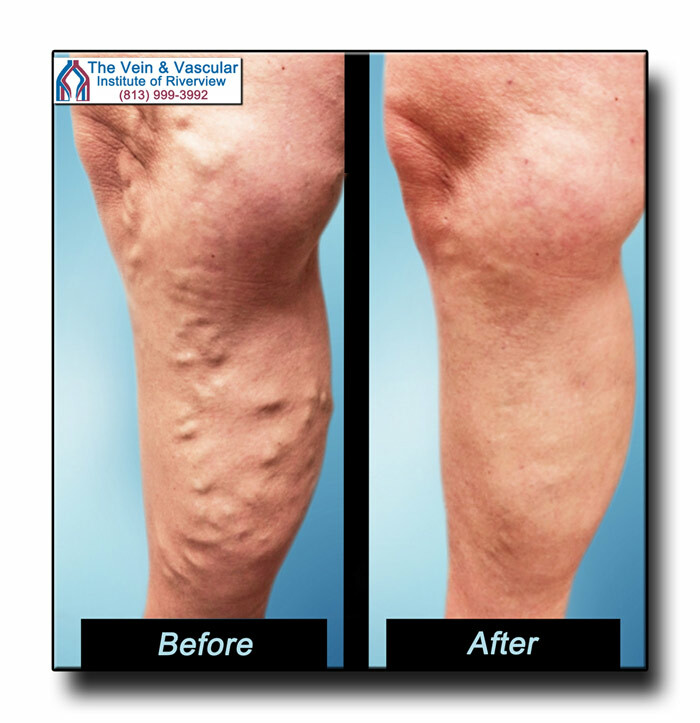 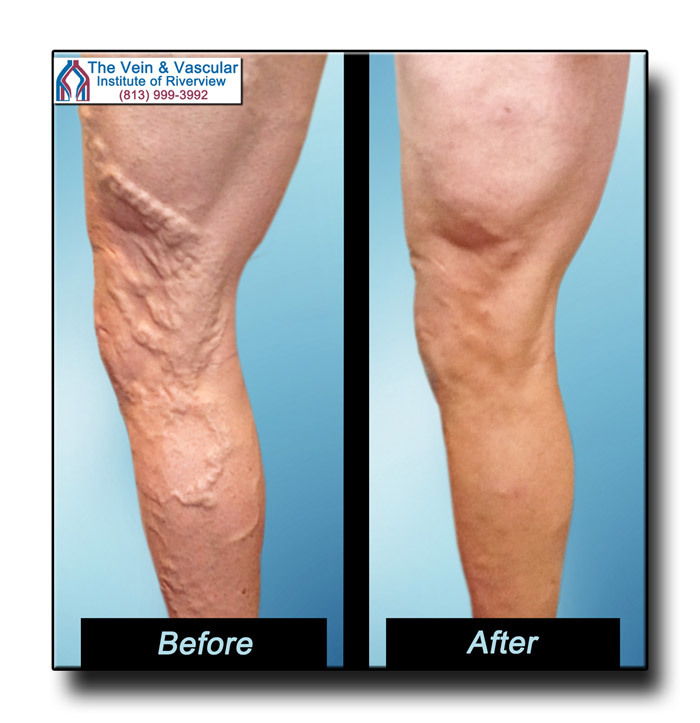 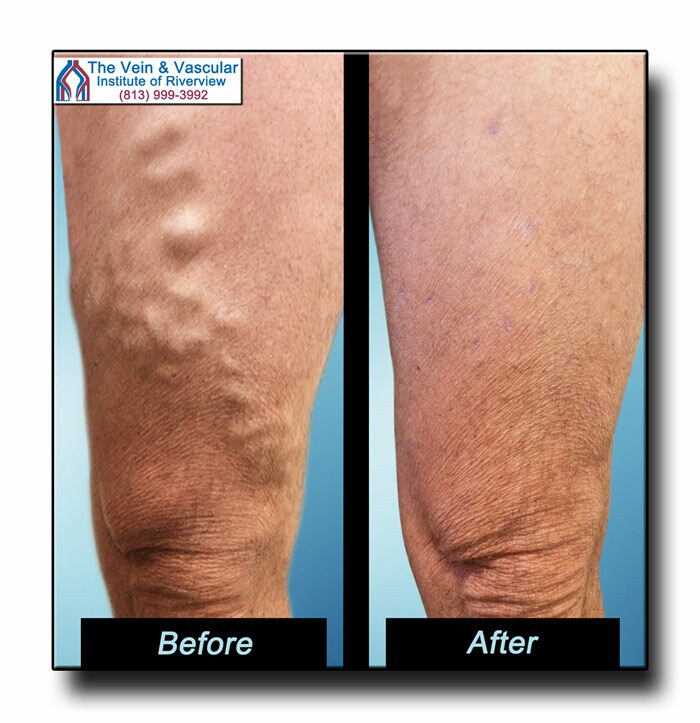 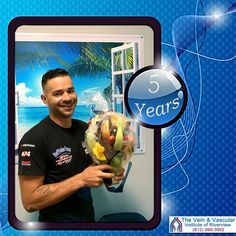 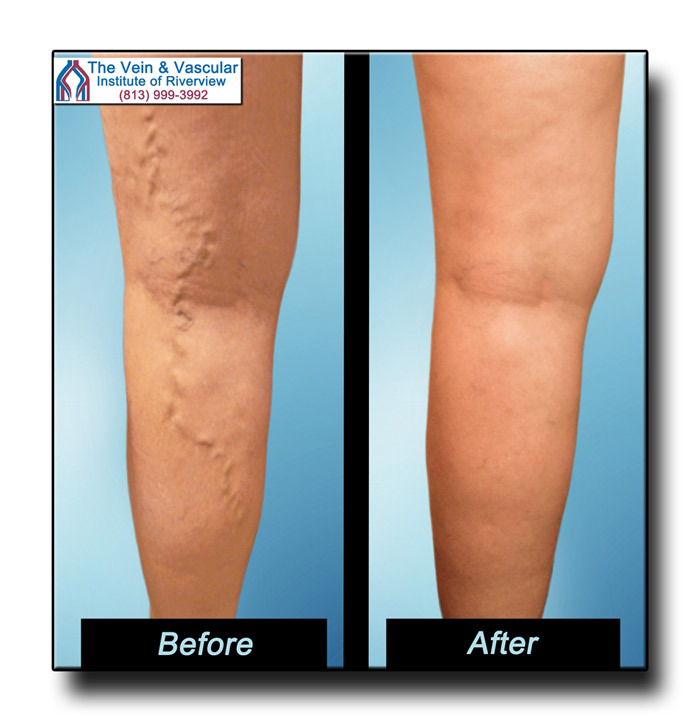 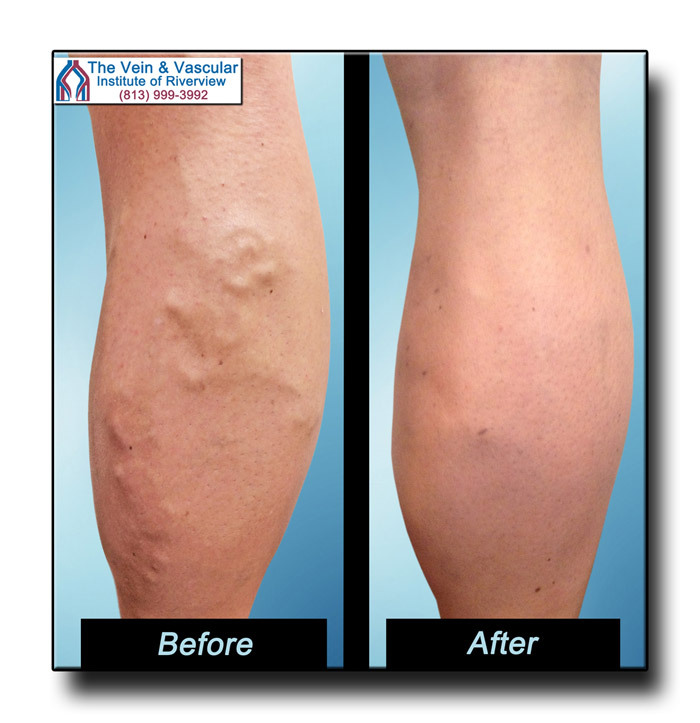 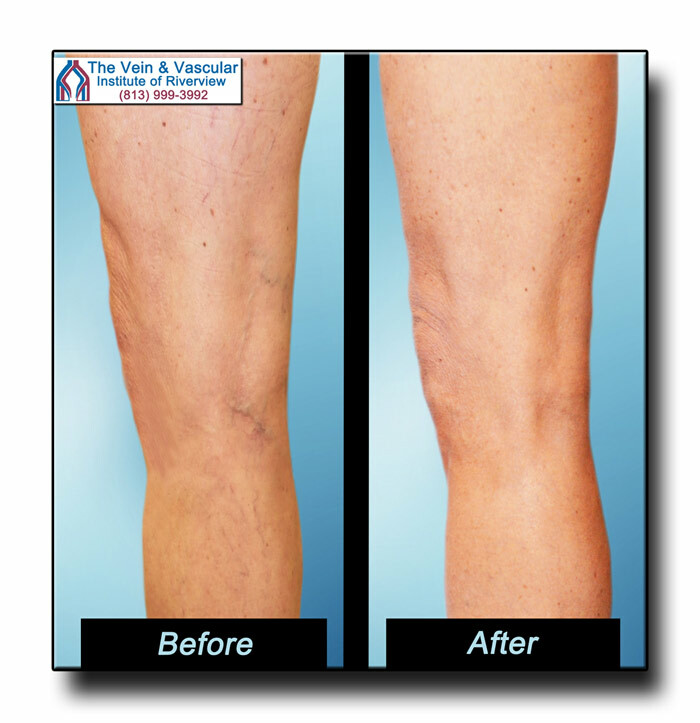 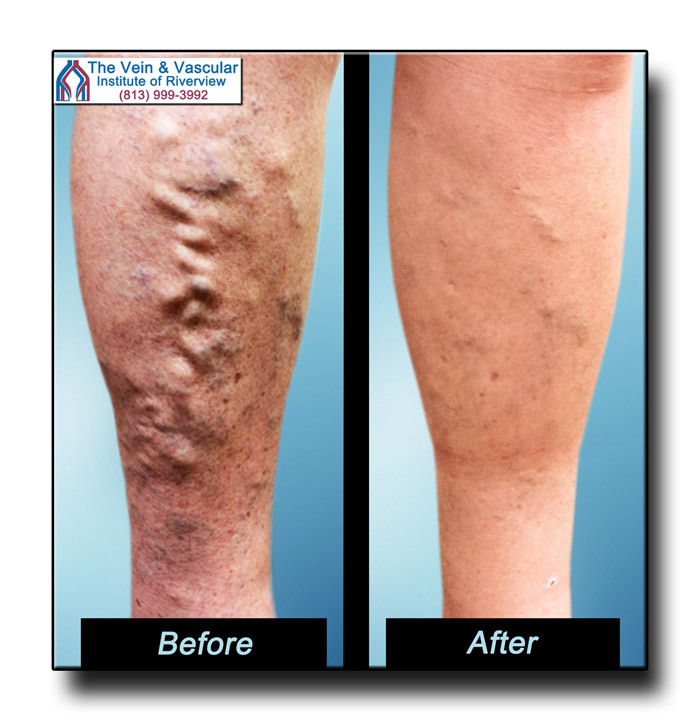 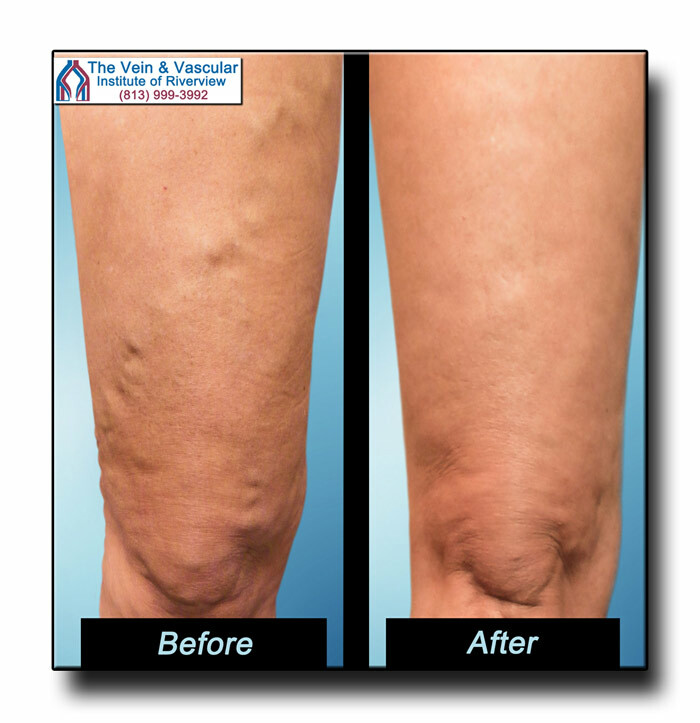 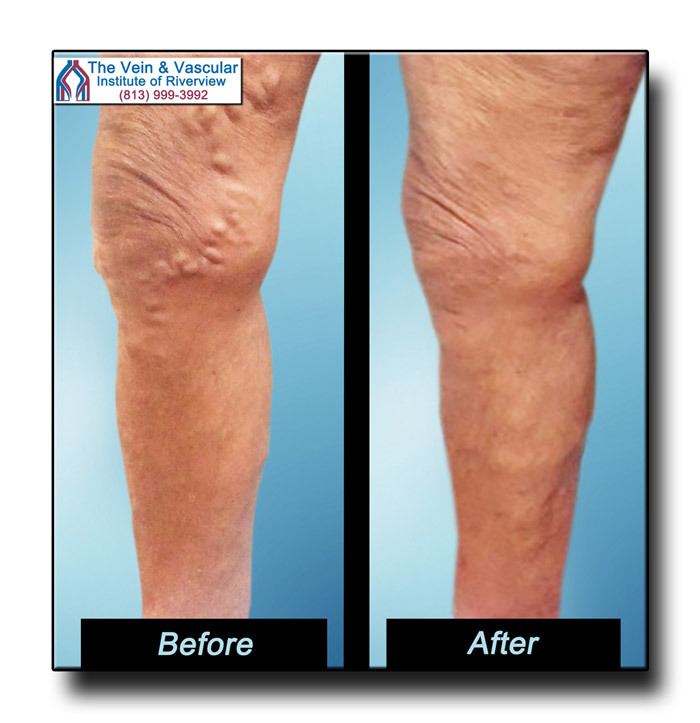 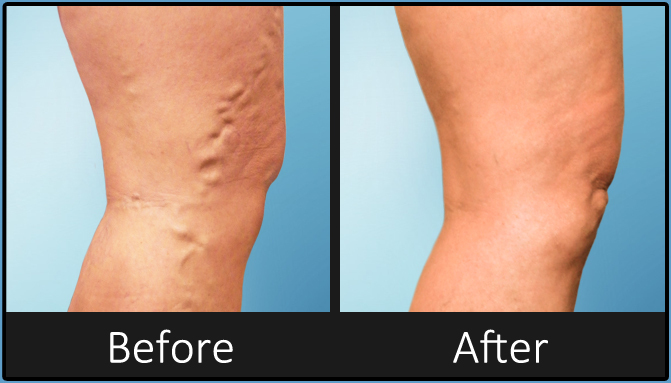 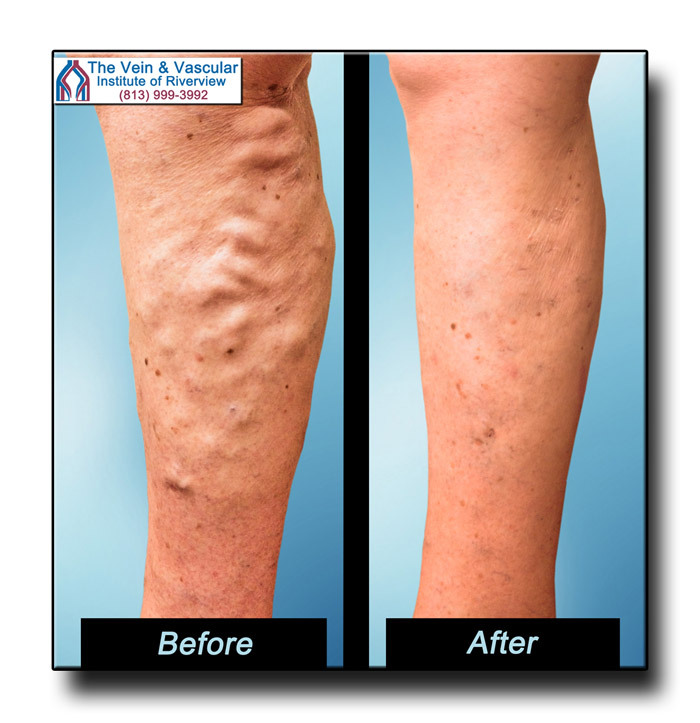 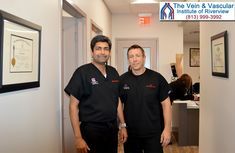 As you can see from these Riverview varicose vein removal patients’ before and after pictures, our patients treated at The Vein & Vascular Institute of Riverview have experienced amazing results. 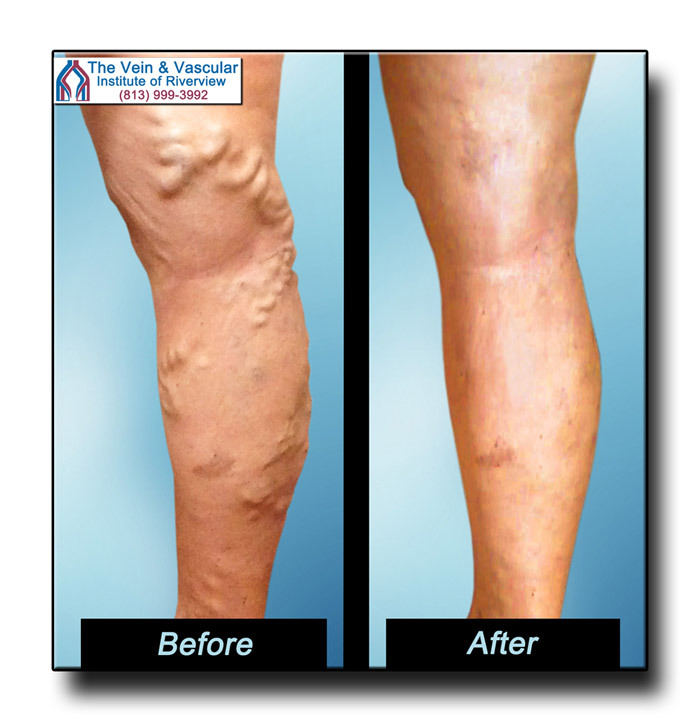 Now their legs look and feel great, with minimal to no scars. 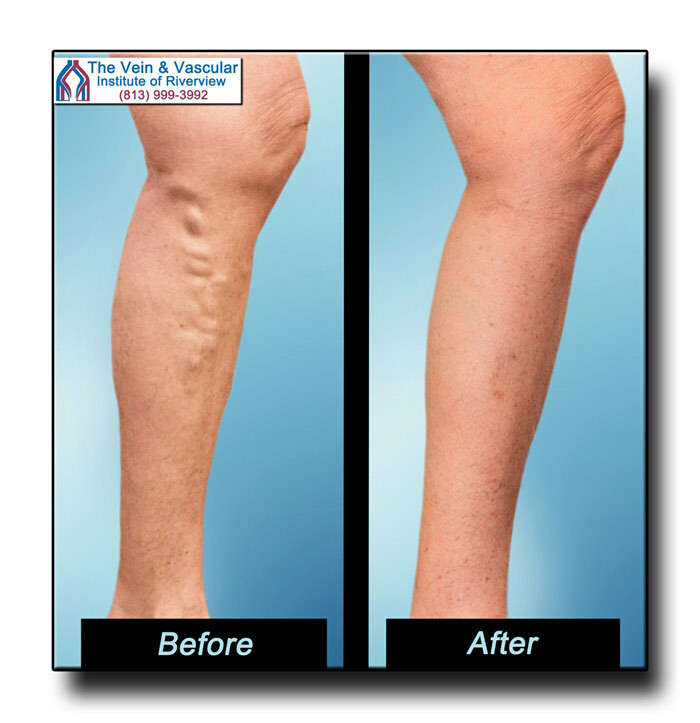 Our world-renowned vascular surgeons have performed thousands of varicose vein removal procedures using sclerotherapy, as well as laser vein treatment, also known as Endovenous Laser Ablation (EVLT). 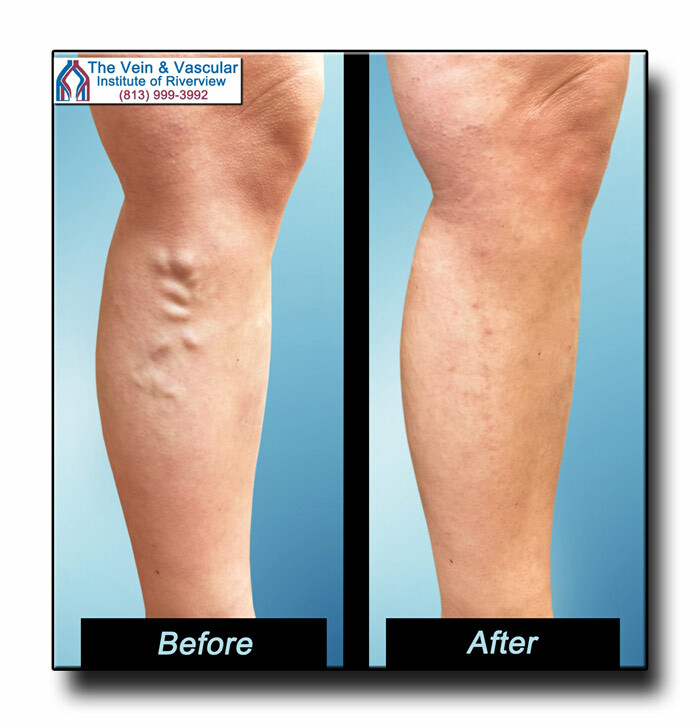 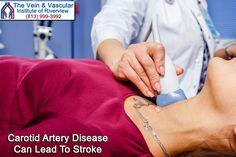 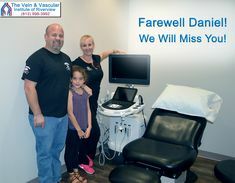 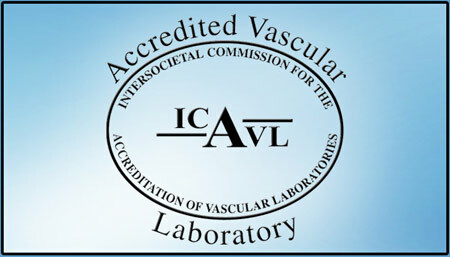 The vein treatment techniques performed here at The Vein & Vascular Institute of Riverview leave our patients’ legs with minimal scarring because these techniques are minimally invasive and because they are performed using the latest endovascular laser technology. 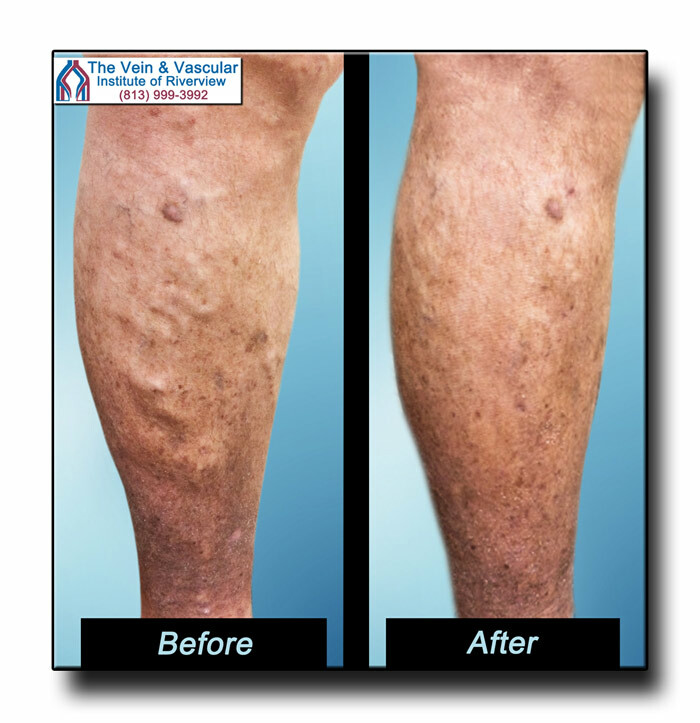 Our laser vein removal methods also offer quick recovery time, allowing our vein removal patients to resume normal daily activities within 24 hours of treatment. 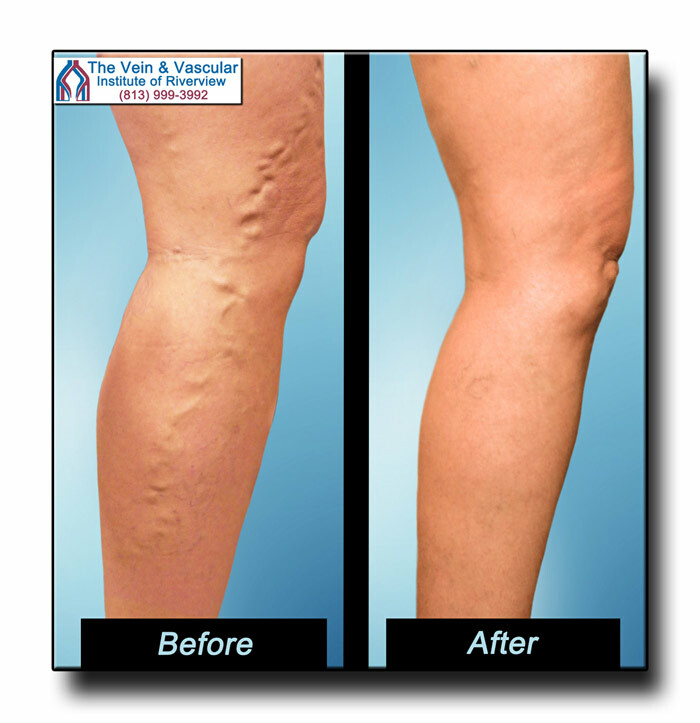 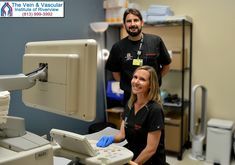 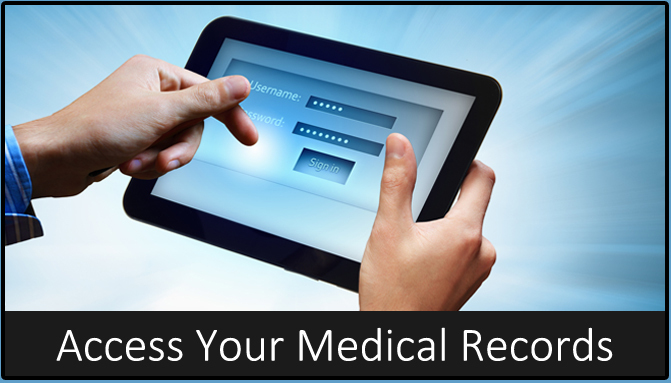 If you live in the Riverview area, and if you are suffering from enlarged varicose veins, then our Board Certified Riverview Vascular Surgeons can quickly, painlessly, and safely remove your varicose veins. Give us a call now at (813) 999-3992 to schedule a vein consultation because you also deserve to have your legs looking and feeling their best.